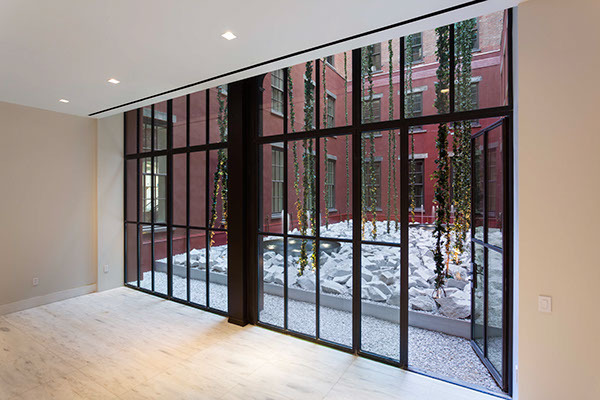 36 Bleecker Street in Lower Manhattan, NYC is a renovation of an historic warehouse as residential condominiums. 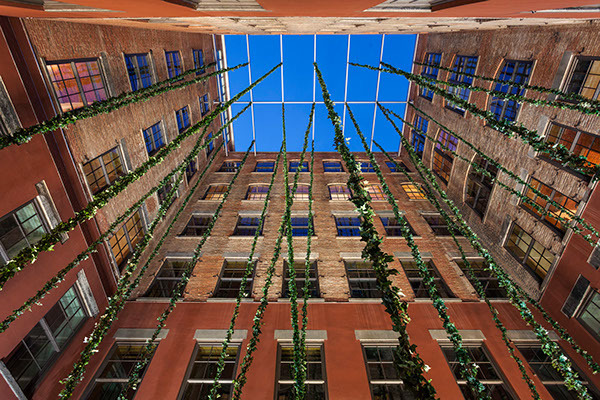 In the center of the building is a vertical courtyard that all apartments open onto for light, air and view. 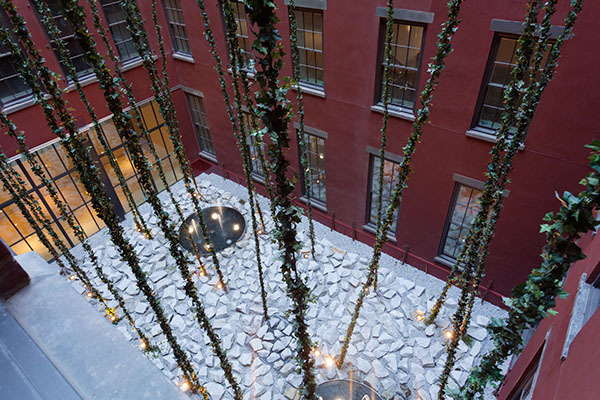 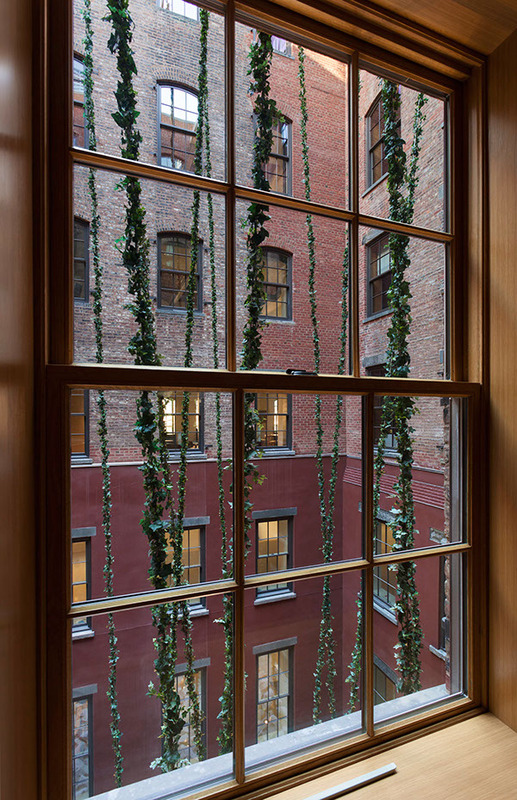 This garden uses vines on cables to create a sense of space and visual interest for the residents. 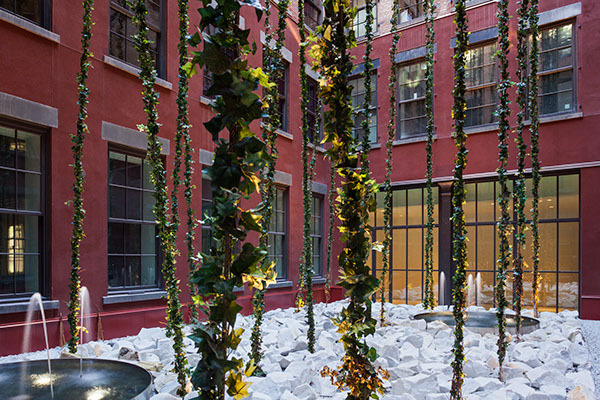 White Vermont marble chunks create a textured ground plane and two stainless steel pools provide animation and white noise.